Add (or edit) important notes about your customer that will act as reminders for your company and remain with the profile indefinitely. This is a great section to include reminders or keep track of key information about the property, customer, or services provided. added to an existing customer profile. 2. Select the customer profile you're adding notes to. 3. In the 'Profile' section, scroll down until you see the 'Customer notes' section. 4. Click on the line in the notes section & type notes. 5. Click anywhere outside of the box once you've finished. 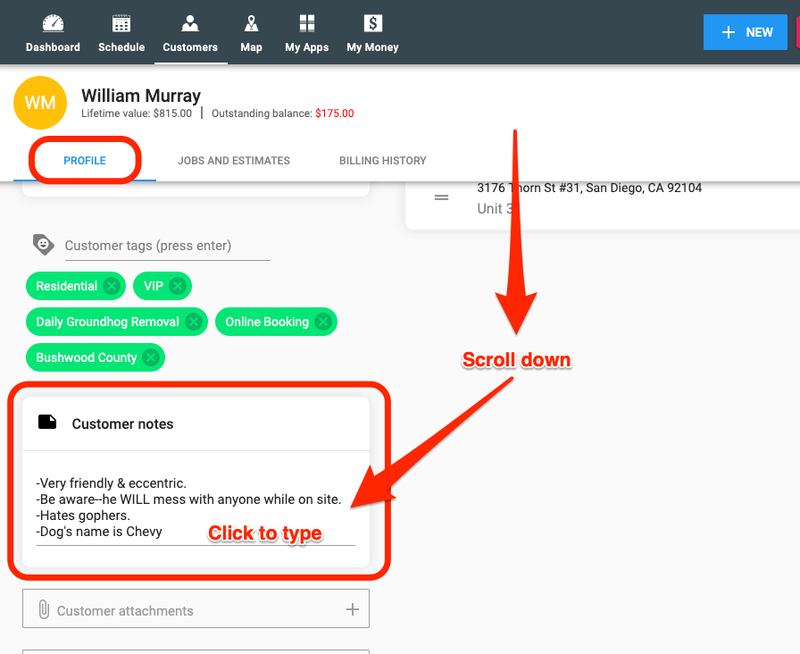 Note: Customer notes can be found in the mobile app by clicking on the customer's name in the job details page.